Much like New Hampshire I’ve covered previously, New Mexico was the site of big wins for Democrats in recent years, wiping out the Republican Party. 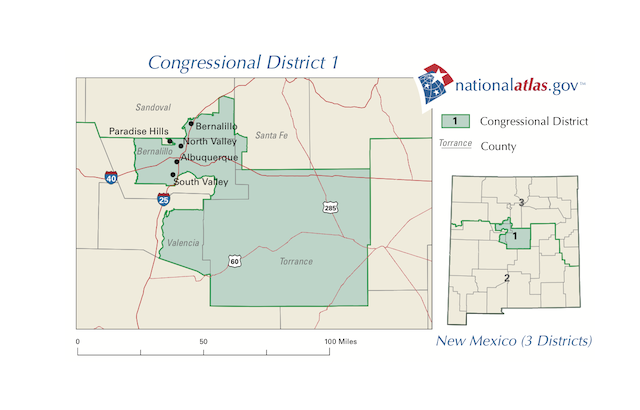 But now a SurveyUSA poll for KOB of the first Congressional District has Democrat Martin Heinrich so worried, he’s put out an internal poll in response. The SurveyUSA poll is dismal for the incumbent, as Republican challenger Jon Barela leeds Heinrich 51-45 (MoE 4.2). When a challenger is over 50, that’s spectacular, so Heinrich has responded by putting out his own poll, conducted by Greenberg Quinlan Rosner, the firm we know so well from their bad news reports to Democracy Corps. But in this case the news isn’t so bad, and GQR has Heinrich up 53-41 a couple of weeks ago. Did the race shift that much? Did Heinrich’s team insert assumptions into the GQR poll that KOB Eyewitness News didn’t insert into their poll? Is somebody just wrong? I wish I could say, but this race is going to get some attention now.